Villages Nature is a green idea that could be realized as soon as 2015 and has been created by Euro Disney SCA and Pierre & Vacances, the brand behind Europe’s Center Parcs resorts. Developed around a 3,500 square meter geothermal lagoon, the resort is designed to appeal to an eco-conscious traveler looking to connect with nature on holiday – the companies plan activities such as gardening, boating, hiking, horseriding and seasonal festivals and culinary events. The partners say that 90 percent of the resort would be retained as green space, although some 1,730 apartments or cottages would be built in three villages on the 70,000 square meter site. One village would be constructed inside a forest and a further two around the lake, which sits some 6 km south of Disneyland Paris, just outside the French capital. However, with the resort promoting “a message of harmony between Man and Nature,” its creators are keen to stress the green targets such as sustainable materials, transportation, food and water and zero carbon and wastage, along with the geothermal heating taken from underneath the project site. With fellow French brand Club Med already creating its own “Eco-Nature” resorts such as the one in Cherating Beach in Malaysia, Villages Nature is set to face some tough competition in the burgeoning green travel market. All eyes will be on the Hôtel Plaza Athénée this holiday season as the most fashionable hotel in Paris unveils the Magic Window from Disneyland Paris. Like an Advent calendar coming to life, the hotel façade will light up with a dazzling display of visuals and sound and a new Prince and Princess stepping out of the window to greet enchanted passersby each Wednesday at 5:30pm from December 1-22. The excitement continues inside with Head Pastry Chef Christophe Michalak’s annual Christmas Log. Inspired by the Plaza Athénée children’s pedal car, this Christmas ‘log’ resembles a sports car, complete with chocolate wheels and bumpers and a sugar windshield. Boyband The Wanted visited Disneyland Paris for the Enchanted Christmas season. Follow them in this video during their funfilled journey at the Parks, riding cool rides and playing with Disney characters! The Disneyland Paris Once Upon a Dream Parade will see a reduction in the number of floats and an alternative parade route early next year while refurbishment work is being carried out around the Fantasyland Castle Stage. Disneyland’s daily parade will be reduced to five floats from 7 January 2011 until the end of March 2011 during repairs to the pavements in Fantasyland. During the refurbishment work the parade will start from Discovery Arcade in Main Street USA and will then go around the castle hub and back down Main Street leaving the park through the same doors it entered Town Square. The new route is marked by yellow dots on the below map. The floats being used in the reduced parade will be Imagination, Friendship, Fantasy, Power and Romance. The reduction in the number of floats is to ensure the parade can comfortably travel around Main Street USA. The Once Upon a Dream Parade premiered on 31 March 2007 for the resorts 15th Anniversary Celebration replacing The Wonderful World of Disney Parade which had featured at the park since 1998. 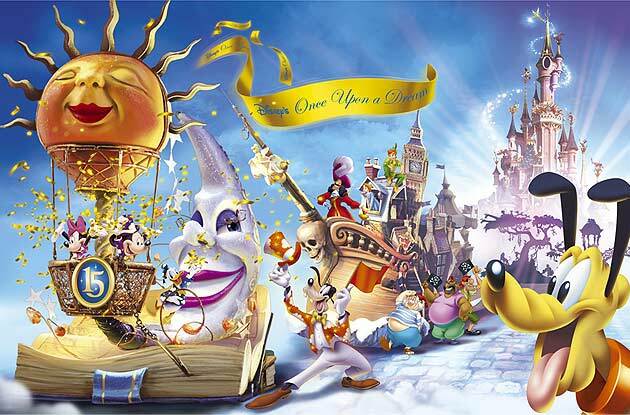 In April all eight floats will return for the “New Look” Once Upon A Dream Parade and guests will be able to create their own magical moments with all new totally interactive show-stops that invite guests to take to the street and interact with the dancers and characters. 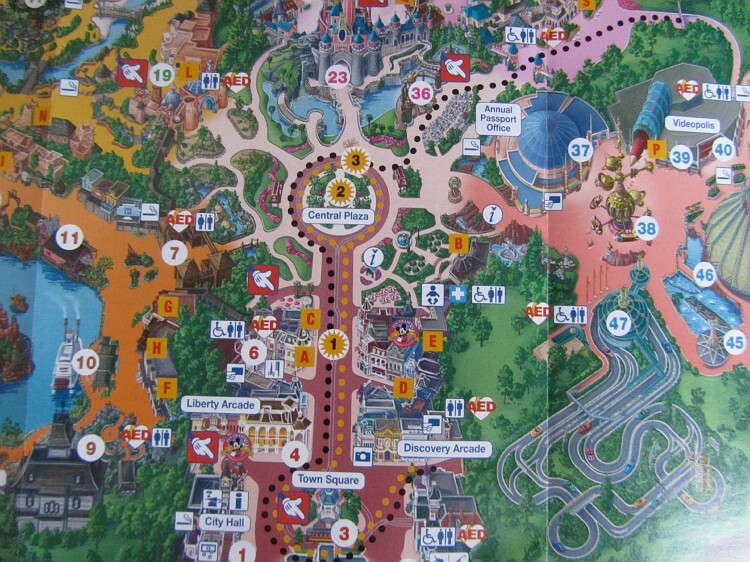 Euro Disney S.C.A., the parent company of Euro Disney Associes S.C.A. (“EDA”), operator of Disneyland Paris, reported the results for its consolidated group for the fiscal year 2010 which ended September 30, 2010 (the “Fiscal Year”) today. “In a year marked by the difficult economic context and challenging travel conditions, we achieved 15 million in attendance at our parks and 85% occupancy in our hotels, remaining Europe’s number one tourist destination. Resort revenues were stable versus the prior-year, as an increase in guest spending offset lower attendance and occupancy. Total revenues ended the year up 4%, reflecting increased real estate revenues from a property sale in Val d’Europe. popular Toy Story films to life. Iconic Disney-themed attractions and entertainment, together with great guest service delivered by our Cast Members, continue to create magical moments for our guests. Resort operating segment revenues of EUR 1,216.1 million were slightly up compared to the prior-year period. Theme parks revenues declined by EUR 2.9 million to EUR 685.3 million from EUR 688.2 million in the prior-year period, primarily resulting from a 3% decrease in attendance. The decrease in attendance reflected fewer guests visiting from the United Kingdom, Belgium and the Netherlands, partially offset by more guests visiting from France. This decline in attendance was partially compensated by a 2% increase in average spending per guest, due to higher spending on admissions and food and beverage. decrease was driven by fewer guests visiting from the United Kingdom and lower group activity, partially neutralized by more French and Spanish guests staying overnight. Other revenues, which include participant sponsorships, transportation and other travel services sold to guests, slightly increased to EUR 50.6 million. EUR 71.7 million and EUR 71.3 million, respectively. offsetting this increase were lower business taxes and volume related costs. EUR 6.2 million and EUR 6.6 million net of legal fees, respectively. prior-year period primarily due to costs related to new system developments. the prior-year period mainly due to labor rate inflation. interest rates and average borrowings. financial charges and business tax expenses. Cash and cash equivalents as of September 30, 2010 were EUR 400.3 , up EUR 60.0 million compared to September 30, 2009.
compared to EUR 52.0 million in the prior-year period. year 2008, as the remaining amounts incurred were paid in fiscal year 2009. Group during the Fiscal Year. first quarter of fiscal year 2011.
available from TWDC and the benefit of additional conditional deferrals. urban development of Val d’Europe. over the duration of the Main Agreement. issued on September 14, 2010 and available on the Company’s website. year 2011, consistent with the scheduled maturities. S.C.A.’s shares are listed and traded on Euronext Paris. related to the conditional deferral mechanism for fiscal year 2009.
that was higher than the nominal rate. of interest on TWDC loans. the scheduled repayments over the next twelve months. flow is a useful tool for evaluating the Group’s performance. counted as only one visitor. parks, excluding value added tax. total room inventory (total room inventory is approximately 5,800 rooms). flow and key operating statistics. of certain differences between IFRS and French accounting principles. Disneyland Park today introduced a new princess, Rapunzel! Check out the press event that launched this years festive season at the parks. Christmas 2010 Press event from Filipv on Vimeo. The Magical Giving Tree appeal aims to donate presents to over 9,000 deserving children in the UK. You can sponsor a soft toy for just £5 in any of the UK’s 57 Disney Stores. 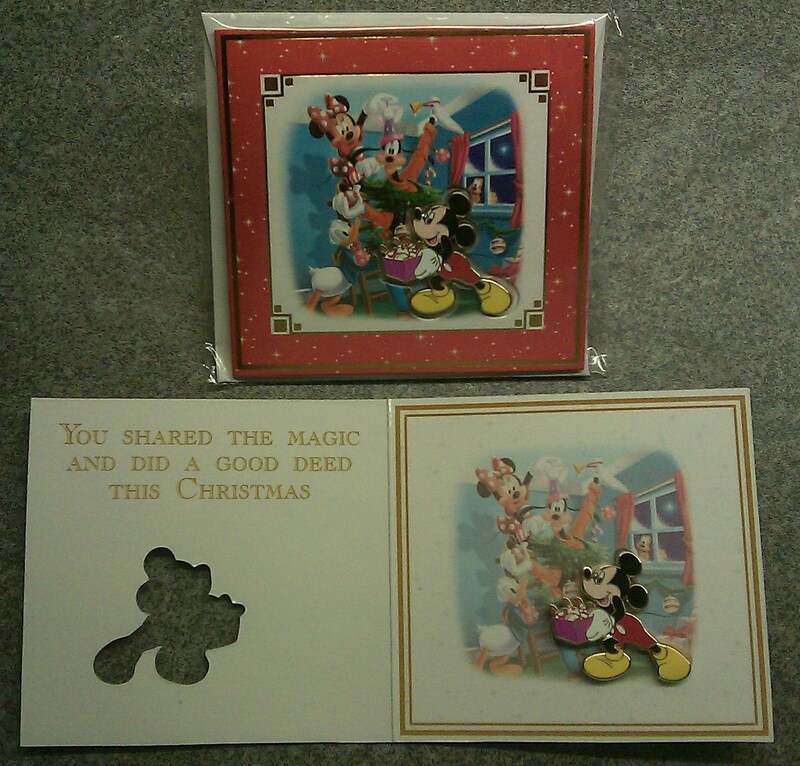 Each toy sponsored will be donated to a child in the local community in partnership with a local charity and in return you will receive a special Christmas trading pin featuring Mickey Mouse.